Title: Innovative Learning Environments and Transformative Schooling. Apply analytical and critical thinking to promote innovation in the context of global demands on educational performance. Apply theoretical concepts to an analysis of international, national, regional and local media representations of education and training. Transformative Pedagogy, Platforms and Digital Technologies. Innovative Learning Environments and Transformative Schooling is about transformative pedagogy; collaborative knowledge creation; connected student-centred learning; user autonomy and autonomous schooling. The paper discusses the needs of a transformative learning and schooling approach ‘rooted in the way human beings communicate’, employing ‘autonomous thinking’ and experiential learning which fosters ‘critical reflectivity’(Mezirow 1997 p 10), and develops a cultural learning discourse required within 21st century connected global classrooms. The employment of a user controlled, adaptive and complex technology ecosystem is required to support the needs of transformative schooling and the transformative learner. This paper investigates contemporary societal change and strategies of developing ‘Innovative Learning Environments’ (OECD 2013), inclusive to the employment of ‘right drivers’ (Fullan 2011) to identify appropriate organisational and system level learning platforms and digital technologies. It is about the process of selecting learning platforms and digital technologies based on innovative learning environments, transformative pedagogy, autonomy and student-centred strategies to transition from a constrained service to an interconnected global learning service. Cultural inclusivity is an essential element in the progression of transitioning from insulated classrooms towards global connected classrooms. Australia’s exclusive racial heritage is a deeply rooted legacy of which requires an appropriate pedagogy that enables transformation from insular to inclusive learning practices. As Australia moves from a protectionist to a free trades economy within the Asian market, education is the core services to develop cultural, social, entrepreneurial and employment skills. The contextual theme describes an urgent need to transition from an insular, standardised and constrained technology provision to an incorporated transformative and adaptable ecosystem which address the societal expectations and cultural challenges of global learning. Governments and Education agencies need to provision learning that is connected to and meets the needs of a changing work environment. Our students are graduating to a competitive global work environment that require advanced cognitive skills, university graduation in science, technology, engineering and mathematics, and Asian literacy skills to gain entry within the digital economy. This being a ‘rise in the demand for non-routine cognitive and interpersonal skills and (the) decline in the demand for routine cognitive and craft skills, physical labour and repetitive physical tasks’ (OECD 2012 p 21). Students require advanced domain knowledge, learning, technical, collaborative and cross-cultural skills to successfully participate in a globalised economy. It is 23 years since Ramler described the global educational challenge, 16 years since the United States Department of Commerce, National Telecommunications & Information Administration identified the Digital Divide (Wikipedia Digital Divide), and 13 years since Prensky defined the Digital Native (Wikipedia Digital Native). Yong Zhao research identifies the nurturing of young entrepreneurs as the essential 21st century schooling challenge. In Zhao’s book World Class Learner global student-centred learning practices are rooted with the development of creativity and entrepreneurial skills. ‘Innovation and entrepreneurship provide a way forward for solving the global challenges of the 21st century, building sustainable development, creating jobs, generating renewed economic growth and advancing human welfare’ (World Economic Forum 2009 p 7). Brian Caldwell describes the need to ‘provide schools with the autonomy to innovate with an entrepreneurial spirit and resist the pressures for more centralized command-and-control approaches in schools (Caldwell 2012 location 25). Rob Salkowitz describes the importance of schools to understand ‘the relationship between practical skills, creativity, and technology in preparing young people for an entrepreneurial world’ (Salkowitz location 33). To develop creative and global entrepreneurial skills innovative learning environments are required. ‘Schools will need to transform themselves into global enterprises that make products for the global market, draw on resources from around the world, and expand their campuses beyond their immediate physical locations’ (Zhao 2012 location 232). This requires schools to redefine their identity to become Innovative Learning Environments. Provisioning of a global innovative learning service and a technology rich educational ecosystem is yet to emerge in the Northern Territory. The digital divide continues to widen between remote indigenous and urban non indigenous students, very few of the 21st century digital skills gained at home are employed at school and a restrictive standardised ICT provision aggressively limits the development of innovative learning environments. Departments of Education cannot transition to a globalised learning environment if it maintains standardised, constrained and centrally controlled services. Innovation, ingenuity and entrepreneurial learning cannot be nurtured within a controlled standardised provision. an Asian-literate and Asian-capable Australia. This paper deepens the Australian and Northern Territorian contextual discussion towards a transformative culturally inclusive global learning service and an adaptive flexible and user centred technological ecosystem. It elaborates on the elements that delineate innovative learning environments, autonomous/self-transforming schools and the symbiotic relationship between contemporary transformative learning and inclusive technologies. Innovative Learning Environments and Transformative Schooling identifies a cultural change in knowledge and skill attainment. Transformative digital technologies and learning platforms are restructuring society towards an increasingly interconnected global world. Department of Education decision and policymakers, school leaders and teachers need to gain an understanding of this growing interconnectedness within a culturally diverse world to ensure schooling remains relevant to how global communities, formally and informally enable acquisition of knowledge and skills, and to improve how we presently work, learn and socialise. Contemporary schools are charged with the mandate ‘to prepare young people for work and life in the 21st century’ (Henderson 2008). To achieve this, schools need to advance innovative learning programs which emphasise creativity, connectivity and collaboration to keep up with the pace of knowledge and skills expected within a globalised economy and workforce. ‘Creativity, ingenuity, and innovation are the keys to success in the evolving global economy’ (Henderson 2008). The rapid uptake of learning platforms and digital technologies is transforming the workplace to one that transcends brick and mortar. Government Technology Review (GTR) describes the need for public and private organisations to invest in the use of learning platforms and digital technologies to deliver ‘just-in-time’ training for field workers, ‘compliancy regulations’ such as Occupational Health and Safety, to provision services to ‘external parties and stakeholders’, ‘professional development’ for staff, ‘support workers’ families’, to disseminate accurate advice to ‘consumers’ and to provision ‘virtual scenario inductions’ for workers to gain prior experience (Howarth GTR). There is a broadening of learning connectivity across communities and society. Provisioning of learning is no-longer the activity that occurs within the confines of the organisation’s physical walls. Professor Stephen Heppell states that the ‘pace of change in online learning is so great, we need the combined intellect of every family, every teacher, every student’ to enable transformative schooling. This ‘powerhouses of intellect’ involves ‘connecting schools together, with people in their homes and other schools’. It is ‘the key to unlocking Australia’s collective ingenuity’ (Heppell 2012 p 3). Social learning through formal and informal online networks is core to global learning. Heppell refers to the modern learner as students who use the internet for ‘their ﬁrst point of call when they need to know something. They use technology to share with their friends, they use technology in their down time and they use technology when they have serious learning to do. For the modern learner, learning isn’t just individual; it is a shared social experience. It is not what the students know, but what they all know together. Learning is about solving real problems and addressing their individual needs’ (Heppell 2012 p 10). develop social capability skills through interconnecting with students across the world. Innovative Learning Environments and Transformative Schooling is a discussion that concerns the democratisation of knowledge, lifelong learning requirements, global cultural consciousness, solving real world problems, enabling transformative structures, and provisioning autonomous and user controlled technologies. The requirements of technology within a learning program has shifted and a rethink of systemic provisioning is required. Centralised systems need to interpolate with user selected and controlled personalised technologies. It is no longer adequate to provision on the basis of controlling the connectivity of schools, controlling user choice of technology and maintaining a standardised hardware/software environment for students and teachers. Provisioning that builds ‘on the relational nature of learning’ and ‘schooling in today’s world’ (Whitby 2005 p 3) is required. Transformative learning requires self-transforming schools which employs transformative technologies. The challenge is enabling access to services and tools that can be managed by the autonomous learner. A transformative and participatory learning service requires innovative learning programs supported by transformative technologies. The use of Web 2.0 technologies which are user controlled and autonomously selected for personalised and collaborative learning activities is more suitable for global learning programs. A standardise operating system that is based on a closed non-collaborative office productivity suite and offers little interpolarity with common Web 2.0 platforms has little to offer in the progression to a transformative learning environment. In essence a 21st century learning service must transition from constrained to transformative user controlled learning platforms and technologies. ~ learning through real world problems and creative practices. ~ learning through passive content. The Blended and Multimodal eLearning paper (Bennett 2013) is a reflective analysis of a technology approach suitable to meeting the goals stated within the Department of Education 2013-2015 strategic plan Creating Success Together. A Departmental vision and strategic plan is essential for whole system reform. The strategic plan introduces global citizenship and 21st century technologies as key objectives to whole system reform. Chief Executive Officer of te Northern Territory stated that the purpose of the strategic plan is to provide vision and prioritised guidance to what the ‘agency will work towards’, which is to ‘educate young Territorians to become confident and capable global citizens’. It is a ‘commitment to provide sustainable and innovative programs and services from early childhood through to senior years. These programs are reflective of 21st century technology and the contemporary social environment in which we operate’ (Department of Education 2013 p 2). relevance to the contemporary social environment. On release of Creating Success Together, the Department of Education and Northern Territory Centre for School Leadership Learning and Development hosted Michael Fullan “Change – Making it happen in your system”. Fullan’s presentation/workshop was delivered to Departmental corporate directors and school principals. The presentation focussed on the ‘right drivers’. Fullan stated that selection of technology over instruction is the wrong driver, and warned against investing in technology and then assuming ‘that the wonders of the digital world will carry the day’ (Fullam 2011 p 5). Selecting technology as the learning driver over learning as the driver is misguided provisioning. Fullan stated that the notion of ‘having a laptop computer or hand-held device for every student will make her or him smarter, or even more knowledgeable is pedagogically vapid’ (Fullam 2011 p 15). Despite a history of large Departmental spending on laptops, eLearning systems, content management systems, whole network management and the deployment of a managed standardised operational system the Department experienced a coinciding period of significantly low student achievement scores in the National Assessment Program Information Communication Technology Literacy (NAP ICTL) 2005, 2008 and 2011 tests. The NAP ICTL results demonstrate a significant gap between Territorian students and the national average, and the gap has widened between 2005 and 2011. The Blended and Multimodal eLearning paper developed a framework based on 1) Fullan’s ‘right drivers’, 2) the Department’s ‘essential elements’ and 3) the Departments ‘strategic goals’ to conceptualise a Technology provisioning approach. The formulated ‘Technology Approach’ was intended to identify the technologies which would support the Department’s strategic reform to enable capable global citizens and support innovative in-school programs. Fostering intrinsic motivation: to nurture confident and capable global citizens. Creating Success Together Student-Centred Provision eLearning platforms, services and mobile technologies that place the autonomous learner in control. Capacity building: to enable sustainable and innovative programs. Quality Leaders, Quality Teachers, Quality Schools Innovative Learning Programs Enable teachers to employ eLearning platforms, services and technologies that best support innovative in-class learning programs. Accountability: reflective 21st century technologies, and relevance to contemporary social environments. Responsive Services and Systems Adaptive Provisioning Provision adaptable and flexible eLearning technologies that support the unique learning cultures of each school. Table 1 Right Drivers, Strategic Goals and Technology Approach associates Fullan’s ‘right drivers’ with the Department of Education Northern Territory ‘essential elements’, and ‘strategic goals’, and a ‘technology approach’ to enable a 21st century global learning service. The Key Concepts in Global Learning paper (Bennett 2014) analyses Australia’s heritage of protectionism and the key social political struggles in developing integrated socio-economic relationships with Asia. This is the premise to why transformative learning practices are essential in contemporary Australian classrooms. Australian cultural identity and educational provisioning have been shaped by a heritage of racial laws, protectionist policies and a class based educational system. The racial based cultural identity originated in the 19th century when the populous description of Chinese immigrants/workers were branded as the Yellow Peril. Violent and outwardly racist actions were delivered by anglo-British descent communities against the Chinese populous. The 1873 Clunes riot was one of many public actions Chinese immigrants suffered. Ironically the Yellow Peril cultural manifestation re emerged in 1980. The Vault, a sculpture constructed for the Melbourne City Square, was ‘given the derogatory nickname "The Yellow Peril" by the newspapers’ (Wilkipedia Vault), and based on public opinion was removed from the city square. Penal era provisioning established the elite fee-paying private secondary school network. Elite private schools continued to provide an exclusive learning service throughout colonial Australia and 20th century Industrial Australia. Today in the 21st century ‘few children of recent migrants are entering Sydney's high-fee private schools, which remain the preserve of Australians from English-speaking backgrounds. At many of the city's high-fee independent schools less than 10 per cent of students have a parent who speaks a language other than English’ (Stevenson 2012). ‘The elite private schools (are) overwhelmingly white, in contrast to the more multicultural suburbs in which they (are) located’ (Creagh 2011). Christina Ho (a researcher into migration, gender and cultural diversity) points to a ‘growing ethnic segregation of Australian schools’ resulting in ‘ethnic concentration’ in public schools and the abandonment of public schools by wealthier Anglo-Australians (Ho 2011). An unofficial white education provision exists in Australia. Wealthy white Australians are selecting schools ‘where minorities are in the minority’ (Ho 2011). This disparity continues an Australian heritage of future leaders who have not developed collaborative and social learning skills with non-white bilingual peers. This limitation of non-white Australians accessing positions of power is perpetuating Australia’s cultural isolation. The critical challenge of an Australian and Northern Territorian 21st century global learning service is to deliver learning service that embraces cultural diversity. A transformative learning service can assist Australia in attaining future prosperity within the realms of the Asian economy. However it needs social reform and social reform starts in schools. Since Federated Australian enacted the White Australia policy in 1901 changing political-economic-social expression has been difficult. In 1939 Australian Prime Minister Robert Menzies gained the nickname Pig Iron Bob for trading iron with Japan. The prospect of a ship loaded with Australian iron being transported to Japan led to water-side workers refusing to work, a nine week lock-out and a determined public and political power struggle over foreign policy and trade. Trading iron with Japan was a historical movement away from Australia’s heritage of exclusive trade with Britain. From 1947-51 Authur Caldwell assured the Australian public that postwar immigration would consist of ten British to one foreign person. Government immigration policies ‘were assimilationist, assuming the supremacy of Anglo-Australian society’ and expected migrants ‘to become similar to Anglo-Australians in values and expectations, behaviour, lifestyles, and ultimately speech’ (Kuhn 1996). To protect the white english speaking anglo-Australian way of life, ‘immigration laws all but excluded non-European people from settling in Australia’ (Jerome Small). ‘In the 1960s and early 1970s government policies shifted towards integrationism’ (Kuhn 1996), and a cultural description of the Yellow Peril transitioned from Chinese workers to Communist Asia. It took 73 years to remove the White Australia policy before a tentative multicultural Australia could emerge. In the 1990’s Pauline Hanson attracted popular attention and a significant number of votes based on her rhetoric that ‘special treatment’ (Koleth 2010) was afforded to Aboriginal Australians, and non-British/Euopean migrants. Hanson’s argument was that ethnic migrants were getting favours over anglo Australians. This expression of unfairness has transferred to asylum seekers, who are now viewed as the threat. Stopping asylum seekers arriving on boats in Australian waters has become a defining objective of the Abbott Federal Government despite its potentially low impact on Australian sovereign safety and or economic security. ‘Australia’s high cost …. military-style Operation Sovereign Borders’ (Whinnett 2014) has stopped what is actually on a global scale, a relatively small number of refugees. The United Nations High Commissioner for Refugees (UNHCR) states that ‘asylum levels in Australia continue to remain below those recorded by many other industrialised and non-industrialised countries’ (News.com.au. 2013). Whilst 21st century Australia seeks to economically benefit from globalisation, the Australian public demonstrates a ‘resentment and fear of globalisation’. ‘Asylum seekers are collateral damage’ (Tsiolkas 2013) of that fear. Australia’s efforts to develop an international student knowledge industry as a non-racial hospitable host country has had some difficulties. The Key Concepts in Global Learning paper refers to reactionary hostility, violence and evidence of cultural isolation by Australians against Asian students. In regards to Australia's economic prosperity international students are a significant knowledge industry market. In 2011 there were 426,748 international students (554,601 enrolments) studying in Australia (Deloitte 2013 p i). Students from China, India, South Korea, Malaysia, Vietnam, Thailand, Japanese, Cambodia and Indonesia, through their spending contributed ‘$14.7 billion’ (Deloitte 2013 p iii) to the Australian economy and ‘$34 million’ (Deloitte 2013 p v) to the Northern Territory economy in the 2011-12 financial year. Unfortunately due to a number of circumstances including violence inflicted on them international student numbers have declined. the use of inclusive literacy. Essentially, school reform is required. A culturally aware and inclusive Australia requires the soft skills to develop socio-economic-political relationships with our neighbouring countries. Graduating students need ‘the skills to fully participate in an increasingly interconnected global economy (OECD 2012 p 5). Learning platforms and digital technologies should be selected on their potential interconnected capacities to develop cultural interactivity, as they are the active interface between learning, exchange and social activity. Transformative learning requires the provisioning of a globally connected learning ecosystem that interconnects schools within Asia, builds Asia-capable leaders and Asian-literate knowledge workers. Despite recent political decisions, such as the cancellation of ‘funding for the National Asian Languages and Studies in Australian Schools Strategy’ (Jericho 2011) and a decline in ‘high school students who don't speak Chinese at home are learning the language than four years ago’ (Garnaut & Wen 2013), Catherine Gomes and Susan Leong state that the key is ‘initiating and recognising Asia as part of everyday life in Australia’ into the classroom. Through the classroom students can become ‘accustomed to and informed on the region’s diversity and many contradictions’ and to make sense of their ‘place in (their) time within an Asian-centred world’(Gomes and Leong 2012). In regards to Australia’s economic future, innovative classroom methods, transformative pedagogy and social based learning technologies can develop an Asian inclusive Australia. to develop learning partnerships with international schools. Schools need to establish cultural literate and transformative classrooms to engage in interconnected global learning environments. The development of global interconnect classrooms requires a focus on cultural awareness, engaging diversity, and critical reflection on self and place within the learning community. The 21st century connected classrooms address cultural discourse as core to learning achievement. Cultural discourse cannot be achieved employing constrained technology systems designed to deliver passive content and individualised productivity through culturally insular learning programs. To develop innovative learning environments and to broaden and deepen Australia’s cultural interconnection with the Asian region or as Gillard described an ‘Asia-literate and Asia-capable nation’ (Gillard 2012 p iii) our school leaders need to recognise that constrained technologies limit programs to didactic instruction. Without the capacity to socially engage and critically reflect such programs will remain ‘complicit in the reproduction of racial and socioeconomic inequality in schools and society’(NCLE 2009). ‘Command-and-control’ (Caldwell and Spinks 2013) culturally constrained technologies are complicit to the status quo of passive content delivery and individualised achievement. The transformative classroom requires transformative technologies which enable students to interconnect formal learning, formative peer learning, collaborative learning and informal social learning. Student selected adaptive and social technologies empower learners ‘to claim agency over his or her personal life and self’ and develop the competencies and capabilities of ‘critical judgment’, ‘social responsibility’ and a ‘sense of public commitment’, to claim their education rather than receive an education (Storrs p 168 ). Adaptive and social technologies that engage students ‘through critical, self-reflective practices …. can work against racial, cultural, linguistic, and socioeconomic inequalities by creating humane classrooms where students and teachers learn to use language and literacy in critical and empowering ways’ (NCLE 2009). A transformative learning 21st century classroom is where collaborating students are actively encouraged to claim their education, where the classroom interconnects with a culturally diverse world, and where connected users choose flexible and adaptive social technologies for collective learning achievements. Transformative innovative learning environments flip the control of technology from the service provider to the user. Transformative technology liberates learning by supporting the objectives of a cultural inclusive classroom and transformative pedagogy. Global learning requires an innovative approach which explicitly addresses the student’s learning needs. It is about moving from teacher emphasised mechanisms to placing the student at the centre of learning and enabling the student to enrich her or his engagement of learning. "Without taking away from the important role played by the teacher, it is helpful to remember that what the student does is actually more important in determining what is learned than what the teacher does" (Shuell 1986 p 429). ‘Creating an enriched environment through new learning experiences and challenges is vital to brain growth’ (Radin 2008 p 4). The Innovative Learning Environment should be a ‘climate high in challenge and low in threat’, ‘empower students to set their own realistic goals’, engage ‘problem solving’, enable student choice, and be experiential and hands-on to proactively engage students as ‘active participants in their own learning’ (Radin 2008 p 8 to 10). (Global Learning Project 2011 p 2). (Global Learning Project 2011 p 22). The selection and use of learning platforms and digital technologies should be based on its capacity to ‘engage students with a wider view of the world, extend student learning about how the world works and facilitate a change in learning, thinking and teaching’ (Global Learning Project 2011 p 21). It should not be selected on a limited premise of productivity or passive information seeking, rather on its capabilities to collaboratively innovate. 1. Learners: It is the use of technology that enables collaborative innovation. Socially designed Web 2.0 tools can bring learners from across the globe together and involve parents as participating learners. Technologies can be employed to transform ‘the standard schooling relationships’, where learners and learning activity is rigidly confined to one place at one time, to a flexible environment where learning can occur ‘anytime’ and ‘anywhere’(OECD 2013 p 42). 2. Educators: The Innovative Learning Environment is one that diversifies instruction through the engagement of ‘external professionals, craftspeople, and other experts and adults as learning facilitators’ (OECD 2013 p 65). This can include parental involvement and peer teaching in and across schools. The opportunity to engage external professionals and experts from Asian countries can be achieved through social based Web 2.0 technologies. 3. Content: OECD identifies 21st century competencies, languages, culture, sustainability and interdisciplinarity within the content element. In reference to 21st century competence the Centre of Education research describes ‘adaptive competence’ as ‘the ability to apply meaningfully-learned knowledge and skills flexibly and creatively in different situations’ (De Corte 2010 p 45). The OECD emphasises the importance of digital literacy as an enabler to ‘develop critical skills for engaging with, consuming and producing digital media’ (Hobbs 2010). Digital literacy enables users of technology to innovatively knowledge create. Digital literacy skills support changing of learning content to include ‘ecological sustainability, intercultural understanding, multi-language capacity inter-disciplinarity’ (OECD 2013 p 49). An adaptive digital ecosystem is required that combines creativity with transformative reflective understanding. 4. Resources: The premises of an innovative learning environment requires diversity. The use of digital technologies must align to the learning objectives of the task. Global learning environments requires the inclusion of multiple, flexible and adaptive resources. Innovative learning environment are about inclusivity of resources and not about standardisation of resources. ‘We need to look for constellations of interlocking, mutually supportive technologies that affect practice by providing rich interactions, access, effective learning, and efficiency’ (Kerns 2002). It is important to note that students can fabricate their own technology rich learning environment by connecting and creating content through a diverse array of resources. Jennifer Groff describes new millennium learners as those whose ‘lives are ―highly dependent on technology up to the extent that their social and cultural practices would not be as they are if digital media were not available anytime, anywhere to them’ (Groff 2013 p 2) . Students employ learning resources to manage, create and share knowledge in dramatically different ways to their teachers (Pedro 2009 p 2). The use of technology resources is more effective when the student, not the teacher, is in “control” of learning’ and that it is ‘more important for the student than the teacher to be regulating the technology’ (Hattie 2003 p 225). The culture of learning is ‘higher when the learner rather than the system has control’ (Hattie 2003 p 225). Education and training systems should equip people with the foundations to learn and develop the broad range of skills needed for innovation in all of its forms. Foster a culture of healthy risk-taking and creative activity. Help learners to adapt to the changing nature of innovation ... though curricula and pedagogies that equip students with the capacity to learn and apply new skills throughout their lives. Emphasis needs to be placed on skills such as critical thinking, creativity, communication, user orientation and team-work, in addition to domain-specific and linguistic skills. The OECD 2011 analysis of Programme for International Student Assessment (PISA) results suggest that, ‘when autonomy and accountability are intelligently combined, they tend to be associated with better student performance’ (PISA in Focus 2011 p 1). Such reports generated by the OECD have driven the uptake of autonomous schools across Australia. Politicians, academics and education leaders have associated autonomous schools with improved learning achievements against global standards. In 2012, Christopher Pyne the Australian Opposition spokesman on education referred to OECD reports on autonomous and accountable schools and concluded that ‘school autonomy has a significant impact on student outcomes in reading, mathematical, and science literacy’ (Pyne 2012). Pyne stated that ‘I’ve visited many schools as the Shadow Minister for Education and have come to the conclusion that the very best thing governments can do to improve education is to get itself out of the way’ (Pyne 2012). In 2014 the Education Minister Christopher Pyne ‘announced a $70 million Independent Public Schools Initiative, which aims to make around 1,500 more public schools autonomous within the next three years’. The February announcement stated the Mr. Pyne would like to see ‘every public school having a level of autonomy and independence’, which would give ‘school principals more power to select their own staff, choose extra-curricular activities, and lift the "burden" of red-tape’ (Griffiths ABC News 2014). Australian States and Territories are transitioning towards voluntary autonomous management, where schools leaders are afforded higher levels of autonomy to improve the learning environment. The core objective of Independent Public Schools in Australia is to enable school leaders to develop learning programs that ‘best meets the needs of their students’ (Australian Government Students First). The initiative is to ‘improve education outcomes’, ‘increase involvement of parents and community groups’ and ‘expanding beyond educational roles into …. new areas of responsibility’ (Australian Government Students First). The focus on improved learning is the essential driver of a decentralised autonomous school. In regards to school leadership within an autonomous learning environment, John Hattie refers to the imperative of instructional leadership, within the autonomous construct, that is firmly grounded to learning activity and evaluation data. Informed decision making at the school level is what will improve learning achievement. ‘In-school intervention, not cross-sector interventions, …. make the most difference’ (Hattie 2009). The Independent Public School initiative in Western Australia is one of the leading states of provisioning autonomous schools. The Independent Public Sector May 2013 report stated that autonomy ‘considerably enhanced the functioning of their school(s), created the opportunity to access more benefits, and that it will lead to increased outcomes for the whole school community’ (DoE Western Australia 2014 p 7). Autonomy increased ‘their school’s ability to meet their students’ specific needs, enabling them to use human resources to pursue the school vision, for instance by sourcing literacy specialists, psychologists or speech therapists’ (DoE Western Australia 2014 p 30). The Independent Public School initiative through a global budget enabled schools to have ‘greater power to award contracts and dispose of assets and the potential to opt out from whole-of-Department bulk purchasing contracts’ (CSE 2012 p 8). Queensland modelled their Independent Public Schools on Western Australia to lift standards and enable schools ‘more control over their own decision-making’. The Honorary John-Paul Langbroek Queensland Member of Parliament states ‘schools should not have to spend their budgets in accordance with a ‘one size fits all’ approach. we will change this by empowering local communities’ (Langbroek 2012 p 3). The Inquiry into School Devolution and Accountability report states that Victoria Department of Education and Early Childhood Development average PISA scores remain below those in the best performing school systems such as Shanghai, Korea, Finland, Hong Kong and Singapore (State of Victoria 2013 p XXII). The report describes Victoria’s aspiration of lifting their ‘student performance into the top global tier’ (State of Victoria 2013 p 216) through ‘greater autonomy in a range of critical areas, including curriculum, reporting, behaviour management, workforce and funding, infrastructure and governance’, strengthen leadership capacity of principals and improve teaching quality, and review ‘the freedom to opt-out of centrally provided services’ (State of Victoria 2013 p XLV). Educational reforms made within United Kingdom government have been underpinned by an agenda, ‘autonomy drives improvement’ (Grove 2013). In reference to OECD Michael Grove states that ‘from autonomous schools in Alberta, Canada, to the Charter Schools of New York and Chicago, freedom is proving an unstoppable driver of success’ (Grove 2013). Over 40% of United Kingdom government schools are autonomous Academies. United Kingdom Education secretary, Michael Gove outlines the importance of autonomous schools and technology and digital networks. He describes the past scenario of great advancements of technology being employed in society corresponding with a lack of technology in schools. In reference to technology the United Kingdom Education secretary notes ‘part of the problem has been that investment has focused on hardware. In the past, too much emphasis has been placed on machines that quickly become obsolete, rather than on training individuals to be technologically as literate and adept as they need to be. What’s more, fixating on expensive, soon-to-be out-of-date kit represents a failure to understand the fundamental changes taking place (Grove 2013). Centralised management of technology has failed. Grove refers to supporting innovation through partnership ‘but not attempt to micromanage them’ (Grove 2013). Grove advocates moving from a provision of desktops, of which ‘student will have access to superior technology at home - or even in their pockets’, to engaging students with ‘truly cutting edge hardware, like 3D printers, or learn the fundamentals of programming with their own single-board computers, like the Raspberry Pi’ (Grove 2013). The development of innovative programs is core to autonomous delivery. Grove states that ‘genuine engagement with the wondrous world of technological innovation will see children’s learning ‘liberated from the dead hand of the past’ (Grove 2013). Improved learning requires a decentralisation of standardised technology provision. The dichotomy of uniformity should target ‘high ambition and of learning appropriate(ness) for 21st century societies and economies but not uniformity of provision and approach’ (OECD 2013 p 197). the school is unchained from short-term conditional grants. Our youth live is a digital connect global world. Our youth are connecting to this world outside of school, however in school they are not. Schools need to unchain the classroom from the restrictive practices and technologies that are denying them access in becoming an Innovative Learning Environment. The chains are maintaining a culturally exclusive learning environment, denying ingenuity and creativity, and lowering global learning achievement standards. The chains maintain an Australian protectionist mindset which is not willing to engage in the global economy, limits the acquisition of 21st century employment skills and all and but stops entrepreneurship skills that can seek opportunities within the dynamic economies of Asian. Northern Territorian schools need to be able to transition from centrally provisions constrained technologies to access the transformative technologies that are changing local, national and global societies. Forbes Magazine 2011 listed the most impacting technologies which are presently transforming global societies. These include the smart mobile phone, the proliferation of social media, artificial intelligence (such as Siri), the network of people that form the internet, 3D printing, mobile and social devices and tools, synthetic biology and bio-engineering, robotics, scalable real-time processing of data and cloud services (Techonomy 2011). Rapid Acceleration of Intuitive Technology: smartphones and tablets, Xbox Kinect, Nintendo Wii, the new class of “smart TVs” employing natural user interfaces (NUIs). Complex Thinking and Communication Technology: computational thinking, artificial intelligence, semantic web, big data and modeling technologies. BYOD - Bring Your Own Device: students bringing their own laptops, tablets, smartphones, or other mobile devices with them to class. Cloud Computing: expandable, on-demand services and data tools, develop applications, software services, online platforms and learning management and collaborative systems. Games and Gamification: the integration of digital gaming elements, mechanics, and frameworks into non-game situations and scenarios for training and motivational purposes. Learning Analytics: educational application of “big data,” to improve student retention and provide a high-quality, personalized experience for learners. The Internet of Things: embedded chips, sensors, or tiny processors attached to an object allow helpful information about the object such as cost, age, temperature, color, pressure, or humidity to be transmitted over the Internet. As Caldwell and Spinks describe in Self-Transforming Schools, the necessity of autonomous self-transforming school to be unchained from the constraints of local networks that are managed by administrative units employing command-and-control whole system provisioning, is paramount. Meeting this challenge of opting out of standardised centrally controlled systems is the challenge of global 21st century schools. Departments of Education need to assist schools to unchain and self-transform through the adoption of 21st century transforming technologies. These ‘innovative technologies not only have the potential to evolve pedagogical practice, but also completely transform entire learning environments. When technology is leveraged with a very strategic vision and change management plan, the results can be revolutionary’ (Groff 2013 p 8). The confronting question centralised services and school leaders must ask is - ‘How can today’s schools be transformed so as to become environments of teaching and learning that makes individuals lifelong learners and prepare them for the 21st Century’ (Groff 2013 p 1)? Moving towards self-transformation is difficult. Transitioning from a standardised centrally controlled environment to a 21st century global and culturally inclusive environment requires an awareness of place and capacity. Not all schools are readily capable to move towards autonomous and self-transforming paradigms. Professor Andy Hargreaves refers to four ways of reform and the need of vision, coherence, strategic leadership and collaboration community engagement. Schools are unable to move to self-transformation if capacities within the school do not exist. This includes leadership skills, administrative knowledge, teacher motivation, and student learning culture. ‘To be high achieving, educators in school systems need the right kind of purpose that inspires them, a strengthened professionalism that propels them forward, and a cultural structural coherence that holds them together’ (Hargreaves 2012 location 160). Urgency of reform is required, however the development of professional capability and school systems level coherence is essential. 21st century schools are Innovative Learning Environments rooted to cultural inclusivity, transforming technologies and pedagogies. Globalisation requires schools to move from 20th century practices to transforming learning environments. School and centralised system leaders need to work together to engineer the transference of our 20th century hierarchical command-and-control deployment to an autonomous self-transforming interconnected network of Innovative Learning Environments. Schools need to networks, share and support cross venture initiatives. Stages of self transforming schools refers to ICT adoption and pedagogical application. Emerging and Applying phases is largely teacher and systems controlled where learning is passive content driven. Infusing phase enables autonomy and learners centredness. Transforming phase enables ‘critical thinking, whole-learner learning, collaborative learning and collaborative knowledge’ (Anderson 2010 p 57) essential for global learning environments and cultural discourse. ‘There is a consensus that autonomy for schools is desirable and necessary to help improve and transform schools; the future of schooling depends on school principals having more responsibility and for greater innovation to be occurring at the school level; and while system leaders have a regulatory role, their main work from now on should be to support school empowerment’ (Cole and Redman 2012 p 13). Self-transforming schools are essential to an Australia seeking to unchain itself from past protectionist social and political cultural artifacts. Australia’s future prosperity is within the Asian century, and rooted deeply within a Digital Economy which requires innovation, ingenuity and entrepreneurial workforce. Anderson, Johnathan. ICT Transforming Education. Bangkok: UNESCO, 2010. Print. "Australia and the OECD." Advancing the Interests of Australia and Australians Internationally. Australian Government Department of Foreign Affairs and Trade. Web. 19 May 2014. >. Australia. Department of Education Western Australia. Centre for Program Evaluation. Evaluation of the Independent Public Schools Initiative. By Shelby Consultancy. N.p. : n.p., 2014. Print. Australia in the Asian Century. N.p. : Australian Government, 2012. PDF.Forward: Julia Gillard, Prime Minister of Australia. Caldwell, Brian, and Jim M. Spinks. The Self-transforming School. London and New York: Routledge, 2013. Kindle. Callick, Rowan. "Era of Asian Anxiety Begins." The Australian News. The Australian, 18 Mar. 2014. Web. 21 Mar. 2014. >. Cal, Peter. "Chinese Students 'at Risk in Australia'" National. Sydney Morning Herald, 26 Apr. 2012. Web. 21 Apr. 2014. >. "Choosing the Wrong Drivers for Whole System Reform." Choosing the Wrong Drivers for Whole System Reform. Queensland Government, 8 Sept. 2013. Web. 14 May 2014. >. Cole, Peter, and Keith Redman. "School Autonomy and System Leadership. "Centre for Strategic Education, Seminar Series 211th ser. (2012): 2-14. Web. Feb. 2012. Creagh, Sunanda. "Data Shows ‘white Flight’ to Private Schools." Politics and Society. The Conversation, 4 May 2011. Web. 24 Apr. 2014. >. Deloitte Access Economics. Economic Contribution of International Students. Melbourne: Australian Council for Private Education and Training, Feb. 2013. PDF. "Digital Divide." Wikipedia. Wikimedia Foundation, 18 May 2014. Web. 18 May 2014. >. "Digital Native." Wikipedia. Wikimedia Foundation, 14 May 2014. Web. 18 May 2014. >. Fullan, Michael. "Choosing the Wrong Drivers for Whole System Reform. "Seminar Series 204th ser. (2011): 3-19. Web. Garnaut, John, and Philip Wen. "Hands up for a Better Asian Language Plan." The Sydney Morning Herald. N.p., 1 Apr. 2013. Web. 26 May 2014. >. Griffiths, Emma. "Christopher Pyne Announces $70 Million Fund to Help Public Schools Go It Alone." ABC News Topics. ABC News, 3 Feb. 2014. Web. 25 May 2014. >. Gnomes, Catherine, and Susan Leong. "Teaching Asia to Australia: It’s Not Just about Languages." Australian Policy Online. N.p., 27 Sept. 2012. Web. 26 May 2014. >. Groff, J. (2013), "Technology-Rich Innovative Learning Environments", OECD CERI Innovative Learning Environment Project, www.oecd.org/edu/ceri/Technology-Rich Innovative Learning Environments by Jennifer Groff.pdf (accessed 10 May 2014). Grove, Michael. "Tell Us What You Think of GOV.UK." Michael Gove Speaks to the Schools Network. Department for Education Gov. UK, 11 Jan. 2012. Web. 27 May 2014. >. Heppell, Stephen, Professor. 21st Century Teaching Strategy for a Highly Connected World. Broadmeadows Victoria: IdeasLAB, 28 May. 2012. PDF. Henderson, Jennifer. "Developing Students' Creative Skills for 21st Century Success." Association for Supervision and Curriculum Development. Education Update:Reading First:, Dec. 2008. Web. 14 May 2014. >. Ho, Christina. "‘My School’ and Others: Segregation and White Flight."ARPA:. The Australian, May 2011. Web. 24 May 2014. >. Hobbs, R. (2010). Digital and Media Literacy: A Plan of Action. The Aspen Institute & The Knight Foundation. Howarth, Brad. "E-Learning: Get Yourself on the Train." Government Technology Review. Web. 20 May 2014. >. Jericho, Greg. "The Lost Decade: Learning Asian Languages." ABC News. The Drum, 30 Nov. 2011. Web. 26 May 2014. >. Jenkins, Henry. Confronting the Challenges of Participatory Culture: Media Education for the 21st Century. Chicago,: MacArthur Foundation, 2006. PDF. Kerns, Charles. "Constellations for Learning." EDUCAUSE Review May/June (2002): 21-28. Web. May-June 2002. Koleth, Elsa. "Multiculturalism: A Review of Australian Policy Statements and Recent Debates in Australia and Overseas." Research Papers 2010-2011. Parliament of Australia, 8 Oct. 2010. Web. 24 May 2014. >. Langbroek, John-Paul. "Independent, Local and Effective." Dialogue 2012: 3-4. Web. 22 May 2014. Mezirow, Jack. Transformative Learning: Theory to Practice. N.p. : NEW DIRECTIONS FOR ADULT AND CONTINUING EDUCATION, 1997. PDF. Ministerial Report on the OECD Innovation Strategy. Innovation to Strengthen Growth and Address Global and Social Challenges. N.p. : OECD, May 2010. PDF. NMC Horizon Project. "NMC Horizon Report 2014 K-12 Edition Preview." (2014): 1-9. 2014. Web. 27 Feb. 2014. >. Northern Territory. Northern Territory Government. Department of Education. Strategic Plan 2013-2015. By Department of Education. N.p. : Department of Education, 2013. Web. 16 Oct. 2013. Pedro, F. (2009). New Millennium Learners in Higher Education: Evidence and Policy Implications. International Conference on 21st Century Competencies, 21-23 September, 2009. Brussels: OECD. Pyne, Christopher. "Increasing School Autonomy the Key." National Affairs. The Australian, 07 Apr. 2012. Web. 21 May 2014. >. Radin, Jean. Creating Enriched Learning Environments: Lessons from Brain Research. Thesis. Colorado State University, 2008. N.p. : n.p., n.d. Print. Rae, Lindsay, Robert Baker, and Catherine McNicol. Global Perspectives: A Framework for Global Education in Australian Schools. Carlton South: Education Services Australia, 2011. PDF. Ramler, Siegfried. Global Education for the 21st Century. Education Leadership, Apr. 1991. PDF. Pages 44 - 46. "School Autonomy." Students First. Australian Government Department of Education, n.d. Web. 26 May 2014. >. Small, Jerome. "Reconsidering White Australia." Http://www.anu.edu.au/polsci/marx/interventions/raceriots.htm. Australian National University, n.d. Web. 22 May 2014. >. Stevenson, Andrew. "The White Bread Playground: Top Private Schools Shun Ethnic Diversity." Education. The Sydney Morning Herald, 12 June 2012. Web. 10 May 2014. >. Storrs, Debbie, and Michelle Inderbitzin. "Imagining a Liberal Education. "Imagining a Liberal Education. Sage, 2006. Web. 22 May 2014. >. "Supporting Linguistically and Culturally Diverse Learners in English Education." NCTE Comprehensive News. National Council of Teachers of English, 15 Oct. 2009. Web. 24 May 2014. >. Techonomy. "What's the Most Transformative Tech? Techonomists Weigh In." Forbes. Forbes Magazine, 10 Nov. 2011. Web. 27 May 2014. >. "Ten Myths around Asylum Seekers Arriving on Boats in Australian Waters." World News. News.com.au, 8 July 2013. Web. 22 May 2014. >. The Economic Contribution of International Students. East Melbourne: Deloitte Access Economics, Feb. 2013. PDF. Tsiolkas, Kristos. "Why Australia Hates Asylum Seekers." Politics. The Monthly, Sept. 2013. Web. 12 May 2014. >. Victorian Competition and Efficiency Commission 2013, Making the Grade: Autonomy and Accountability in Victorian Schools, Inquiry into School Devolution and Accountability, Draft Report, May. "Vault (sculpture)." Wikipedia. Wikimedia Foundation, 21 May 2014. Web. 24 May 2014. >. Whinnett, Ellen. "Stopping the Boats Is the One Promise That Was Kept." Opinion. Herald Sun, 22 May 2004. Web. 22 May 2014. >. Whitby, Gregory B. Pedagogies for the 21st Century. ACEL, 2005. PDF. World Economic Forum. (2009). Educating the next Wave of Entrepreneurs: Unlocking Entrepreneurial Capabilities to Meet the Global Challenges of the 21st Century. Geneva, Switzerland: Author. 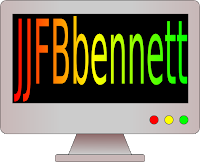 Innovative Learning Environments and Transformative Schooling by jjfbbennett is licensed under a Creative Commons Attribution-NonCommercial 4.0 International License. Based on a work at http://jjfb-bennett.blogspot.com.au/2014/07/innovative-learning-environments-and.html.